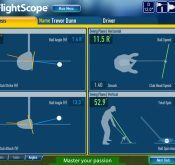 ORLANDO, FL (July 27, 2010) — FlightScope®, the first-ever launch monitor for golf to use 3D Doppler Tracking will attend the PGA Fall Expo in Las Vegas August 17 and 18 at The Venetian. 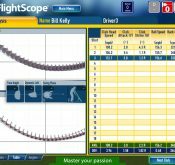 ORLANDO, FL (July 21, 2010) — FlightScope® the first Golf Launch Monitor to use 3D Doppler Tracking, and the first to introduce a wireless launch monitor for golf – the FlightScope® Prime – is now the sponsor of the Association of Golf Clubfitting Professionals National Conference September 29 through October 2 in Columbus, GA.
ORLANDO, FL (July 12, 2010) — FlightScope® Golf Launch Monitors, the world’s first-ever 3D Doppler Launch Monitor for golf (http://flightscope.com) is the launch monitor of choice for Peter Field Online Golf Shop in the UK. 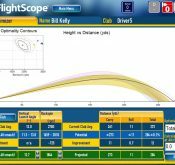 Golfers looking for a new set of clubs are encouraged to go through a fitting on a FlightScope®, and the custom club fitters at Peter Field recommend the perfect set of clubs for each consumer.